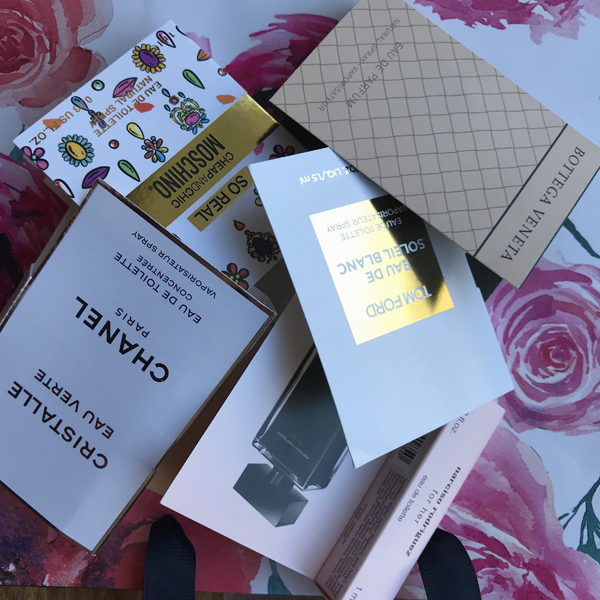 While I was ordering samples or getting them only for those perfumes about which I knew, I could still keep a track of them and remember where I had what, which perfumes I’d tried and which I hadn’t. 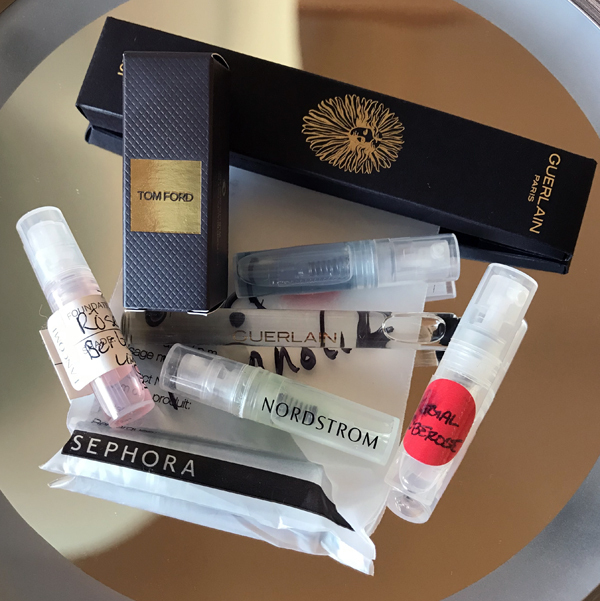 But then with some batch purchases, extras from swaps, random drawing winnings and my own decanting for traveling my samples box kept filling up and I didn’t feel in control any more. Everything that I got to wear would still be entered into the database and accounted for but many samples were ignored for months just because I forgot I had them or I couldn’t find them fast enough when I wanted to test one of them. It’s not easy to find the one 1 ml vial in a pile of a hundred of those, is it? Using ammo boxes for the storage wasn’t my idea: I read about it on one of the blogs (NST, I think) in the topic on the perfume storage. But when I tried to look into that option I found quickly that I had no idea which size I needed. So I dropped the idea for a while. And then I realized I had a friend who was a member of a gun club. 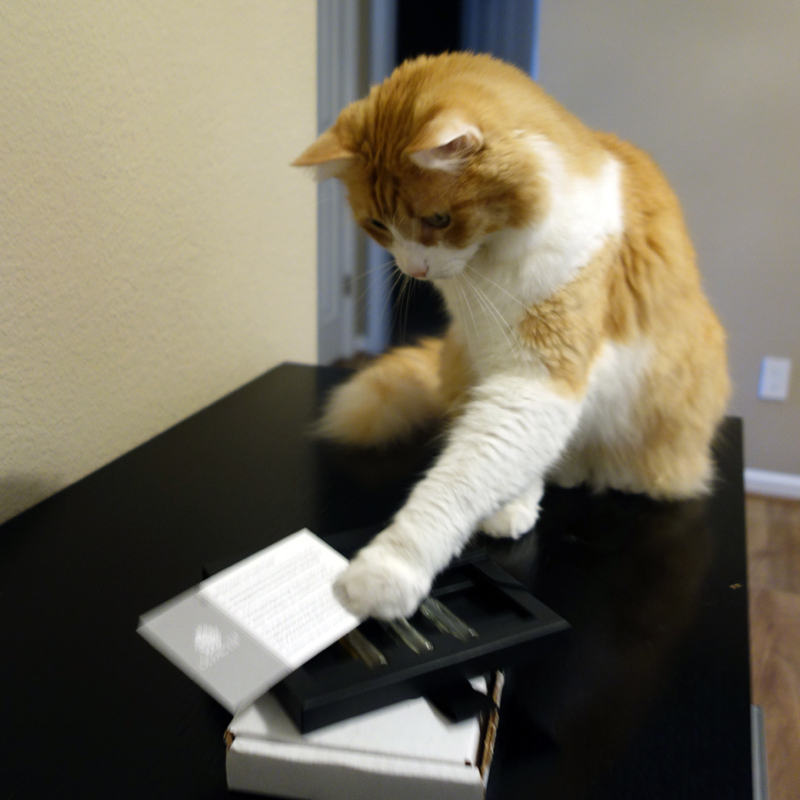 I brought him vials of the most common sizes and he helped me to choose the correct box size. 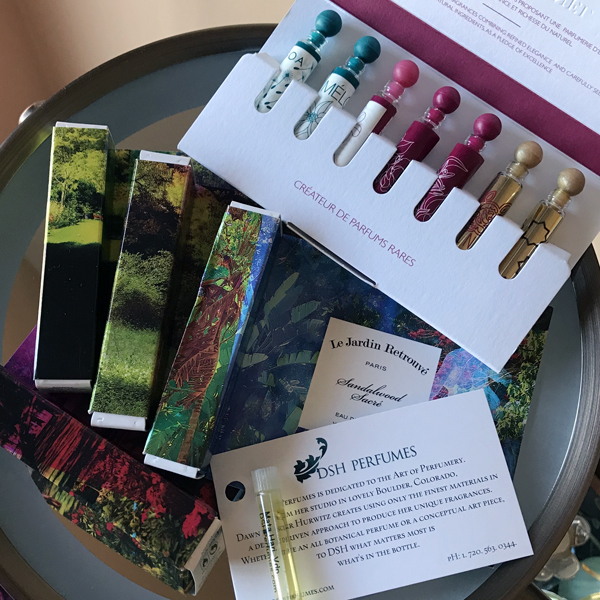 Last week instead of testing new perfumes, writing about them or reading your blog entries the day they were published (I got to most of them eventually), I was organizing my samples. At some point I might change the way I sort them and do it by note, perfumer or type, but for now I’ve just organized them by size first, then by brand and then by name. 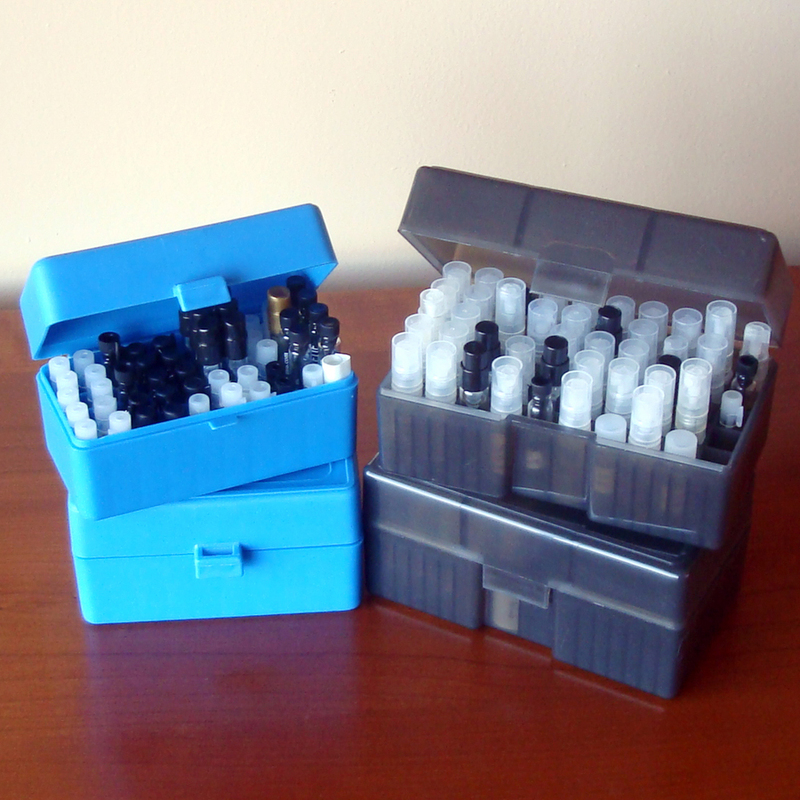 On the picture above, box on the left (B1) can hold fifty 1 ml short vials or 1.5 ml dab and spray vials or skinny 2 ml dab and spray vials. Box on the right (B2) can hold fifty wider 2 ml spray vials or 2.5 ml spray vials or, I’m not sure about the size, standard Nordstrom sample plastic spray vials. 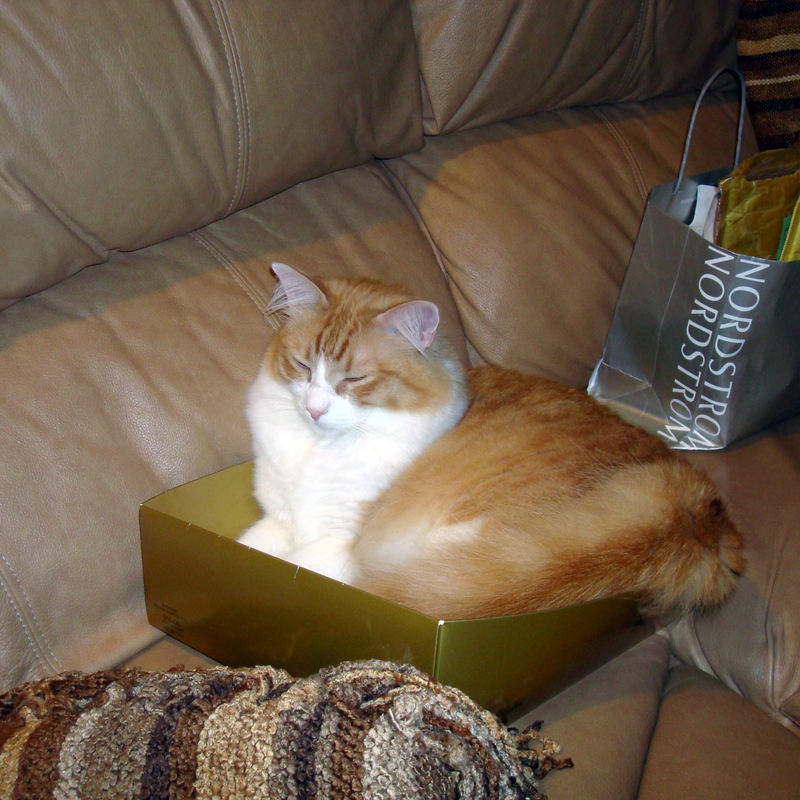 My cat Rusty thought I went through the exercise just to empty the nice box for him to use – which he did immediately after I vacated it. Well, he tried to play The Prince(ss) and The Pea even before I took the last vial out of it but I didn’t allow him. Once he got in he slept there for a couple of hours. And then I reclaimed it for the next batch of samples that will be in there soon, I’m positive. B1: 50 ct (the one on my picture is this one, but my friend says it’s the same one), 100 ct. I plan to investigate a proper size for 3-5 ml spray vials and when I find those I’ll post an update. How do you store 8-10 ml decants in tall bottles that aren’t too stable on their own?